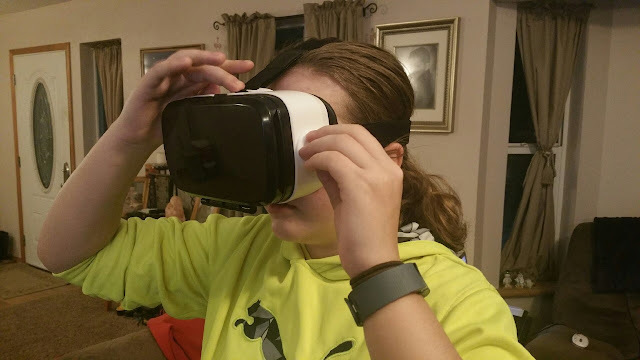 One of the hot gift items this holiday season were virtual reality goggles! They were everywhere... it seemed like everyone was talking about them! With a virtual reality headset, you are able to engulf yourself into other worlds and experiences. No matter your age; young and old alike are in love with virtual reality headsets. At first glance they might look like bug eyes, something from the future or maybe even a creature from outer space. Once you put them on, you're pleasantly surprised at how light and comfortable they are. Then, the fun and adventure begins! The virtual reality goggles headset from Novapolt will take you where you want to go and turn your smartphone into a wireless virtual reality machine. You will be transported to amazing new worlds with images, games, video’s and movies. I can't even begin to tell you how spoiled my two dogs are! Sometimes I feel as though I have 4 children instead of two children and 2 furry "children" living in the house! This month, Zena and Thor had the pleasure of trying out two new kinds of bones! One was the Benebone Wishbone chew toy and the other were the delicious Rachael Ray Soup Bones! 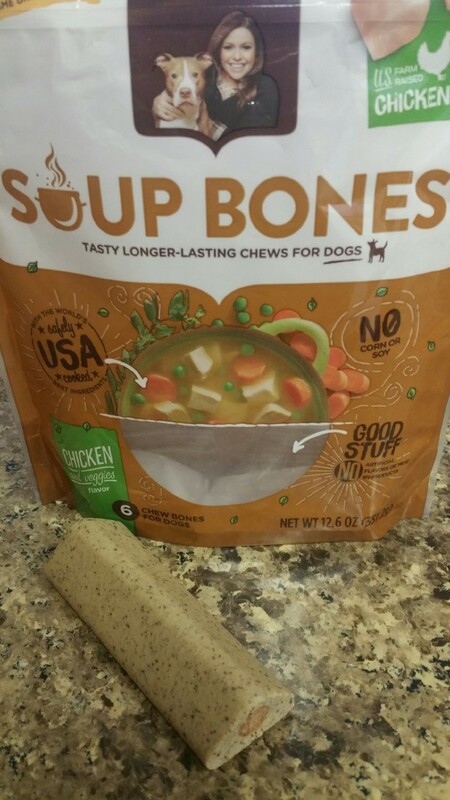 This long-lasting chew is made with real meat and veggies and has all the deliciousness of a wholesome soup bone with none of the splintering or mess. There’s even a tender meaty center inside made without meaty by-products or artificial flavors. These delicious treats are also for small, medium or large dogs so they are perfect for multiple-pup households. Zena and Thor LOVED these soup bones! They lasted longer than the usual crunchy dog treat, which they both chomp down in a matter of seconds! They were easy for them to eat and worked double to clean their teeth and freshen their breath! Rachael Ray Soup Bones also come in a variety of dog approved flavors: chicken & veggies, turkey & rice, and beef & barley. They also come in two sizes, regular and mini! Green and Gold... It's Not Only for Mardi Gras! 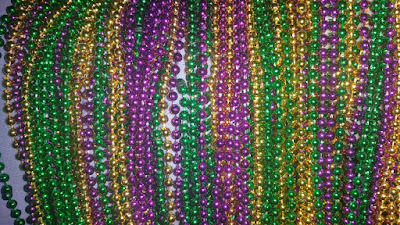 When I think of Mardi Gras, the first word that pops into my head is BEADS! Green, gold, and purple, masks and feathers come to mind next. Get ready to celebrate Mardi Gras with party supplies and decorations from Oriental Trading Company. They offer a wide selection of value-priced products that will make you, your guests and your wallet have a great time! Your bash will be the best with Mardi Gras hats, decorations, party favors and crafts! Get Mardi Gras themed candy, balloons, crafts, masks, hats, tiaras, novelty toys, beads and decorations in green, gold, and purple! My daughter was thrilled to get all decked-out to celebrate Mardi Gras at school in her favorite team colors! She was green and gold from head to toe! Socks, crazy hair hat, glitter tattoos, and of course... beads! Still recovering from all of your holiday shopping? The online rewards site Swagbucks has a smart and fun way for you to earn free gift cards and save when you spend. Are you a pet owner that likes to save time and money on the items you purchase for your pet? Whether it be food, treats, toys, or litter... Chewy has you covered. 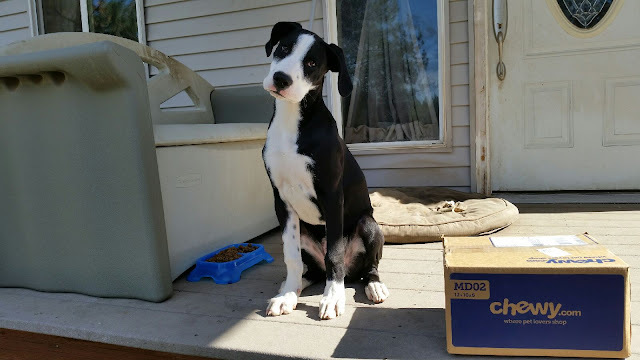 Chewy.com offers over 1,000 brands of pet food, treats and supplies and offer FREE shipping! 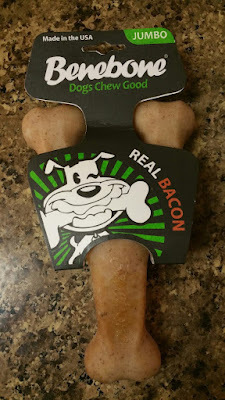 Zena and Thor's newest treat was a bacon flavored Benebone dog chew! At first they weren't too sure what to think about it. They both sniffed it and walked away. I left it there and knew that they would both return. Benebone's Wishbone Chew isn't your dog's average chew toy. Made with real crushed ingredients and durable nylon, the ergonomic wishbone will keep your dog chewing and each prong has deep flavor grooves to keep him interested. As if that wasn't enough, with your purchase you'll also be supporting animal welfare nationwide as a portion of all Benebone sales are donated to animal support organizations! Since both of our dogs are large, it is important for us to find durable chew toys for them. They destroy most chew toys in no time at all. The Benebone Wishbone is 1 of 2 dog toys that they haven't been able to chew into tiny pieces! Benebone Wishbone dog chews come in 3 dog-pleasing flavors; Rotisserie Chicken, Peanut Butter and Bacon! Love singing in the shower? Know someone who does? 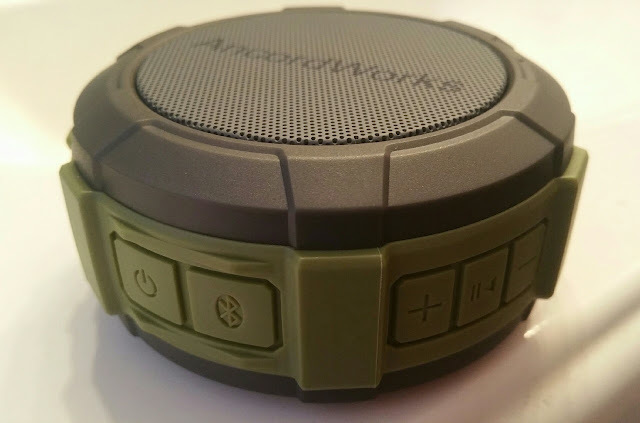 My kids love listening to their favorite tunes while they take a shower... and this awesome waterproof shower speaker from AncordWorks is one of their favorite items! Perfect for home, travel, camping, the beach and more... this speaker is sure to be a must-have item for anyone... teenagers and adults! January Swago with Spin & Win ~ Join and Earn FREE Gift Cards! The digital rewards site Swagbucks is offering big payouts during their January "Swago" promotion starting Monday, January 8th at 9am PT and running until Monday, January 15th! Swago is just like bingo, but in this case you're filling out squares as you earn points on their site for doing things you already do online. If you're thinking of trying Swagbucks, this is a great chance to learn all about how the site works and earn bonus points while doing it, meaning you can get more free gift cards faster. I will admit that when I opened the bag, I was tempted to taste it myself. So was my 16 year-old son, he actually thought it was a bag of jerky for us, until he read the package! It literally looks and smells like jerky we eat ourselves! 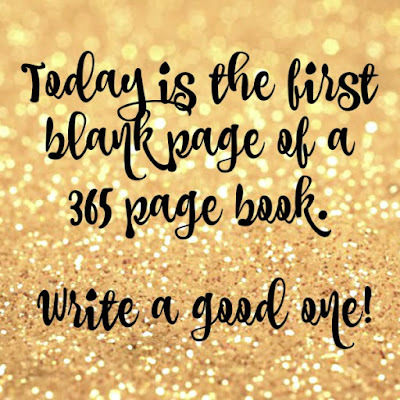 Ringing in 2018 - Happy New Year! The Being Frugal and Making it Work family would like to wish you a Happy New Year! I hope that the New Year brings you success and happiness. 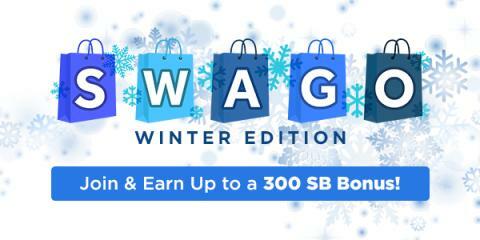 Start the New Year off Right: Get $3 when you sign up for Swagbucks in January! Looking for a way to rebuild your finances after the holidays? Looking for a way to pay for gifts and extra items throughout the New Year? 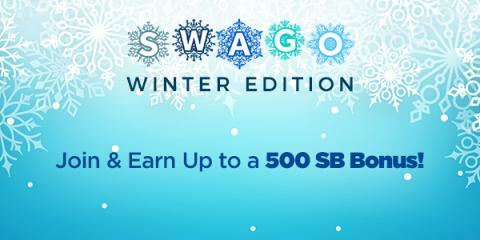 If you haven't tried Swagbucks before, you can get a bonus $3 for signing up as my referral during January. Swagbucks is a rewards site where you earn points (called SB) for things you're probably doing online already, like searching, watching videos, discovering deals, and taking surveys. Then you take those points and exchange them for gift cards to places like Amazon, Starbucks, Walmart, Target, or PayPal cash. 1. Sign up for Swagbucks and start earning FREE gift cards or PayPal!